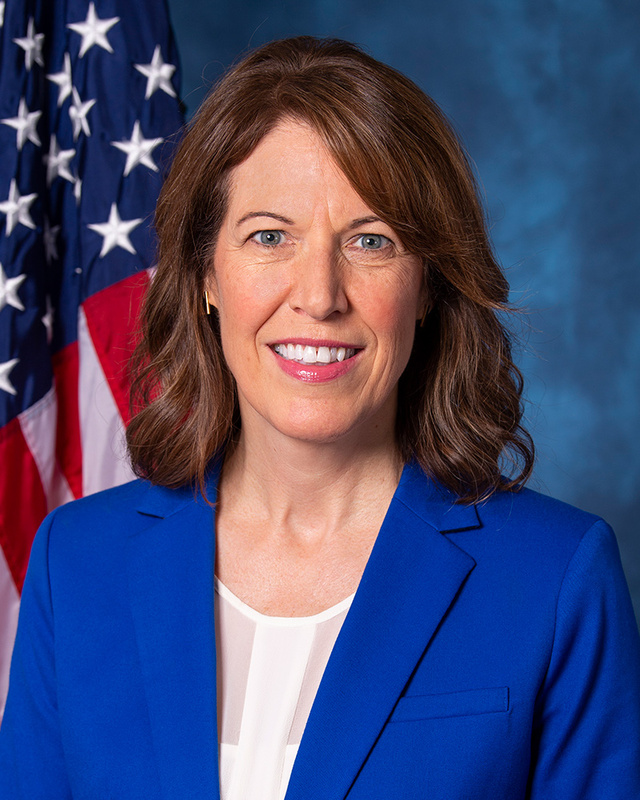 Cindy Axne is an Iowan, a small business owner, parent, community activist, and U.S. Representative from Iowa’s Third Congressional District. Cindy is a fifth-generation Iowan who grew up on the south side of Des Moines. Cindy’s childhood included weekends and summers spent on her maternal grandparents’ farm in Warren County, 4-H activities, and playing 6-on-6 basketball for the Valley High Tigers. After graduating from Valley High in Des Moines, Cindy received a bachelor’s in journalism from the University of Iowa. After undergrad, Cindy worked in strategic planning and leadership development for the Tribune Company in Chicago while earning an MBA from the Kellogg School at Northwestern University. In 2007, when her older son started kindergarten, Cindy learned that full-day kindergarten was not available to every child in West Des Moines public schools, with eligibility determined by a lottery. Cindy was outraged at the inequity of the system and concerned that students were being shortchanged. She spent the following academic year advocating and negotiating with principals, the school board and the superintendent. After nearly a year, her efforts paid off and full-day kindergarten was made available to all students in the district. Cindy is active in her church, Sacred Heart Catholic Church, and serves as a mentor with the John Pappajohn Entrepreneurial Center at the University of Iowa. She lives in West Des Moines with John and their teenage sons, Gunnar and Rafe.